And so the decade of the Buick has come to an end. The car that I started driving when I was 16, to my first job, that I took to high school graduation, to university and back, that I made numerous films with, and that I started my post-uni career with is now bowing out for good. It was by choice that I said I'd rather find another car before the Buick actually died on me, but the decision certainly comes with mixed feelings. In all seriousness, from 2000-2010 I've been driving this car and before that it was the 'family' car. It's not just my teenage and university years, but a chunk of my childhood that was spent on the road in the old '89 Park Avenue. For viewers of this blog you'll have recognized it numerous times in shorts like Educated Detours and the Buick to the Future series. I really did grow to love that car over the years, and the switch just several weeks before I move is simply one more bit of excitement in a year full of unforgettable changes. 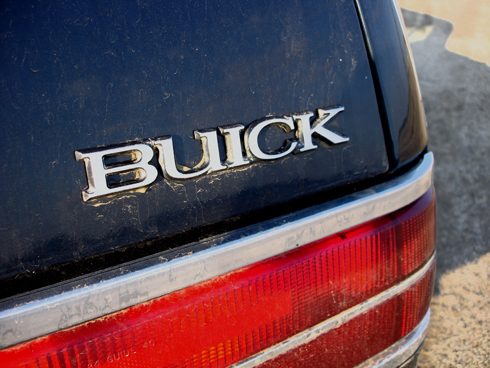 And with that I present my quickly cut farewell - my Requiem For a Buick. Stay tuned to hear what's replacing her very soon. It has been quite a journey you and i have had with her. It is not a sad good-bye, and you were right to end it when you chose. I have been working on a similar video for my Lumina, which came to a more tragic ending unfortunately. But for the Buick, all I can say is that she always knew when I was trying to open the door - and she never once let me in. She was a good car. Sometimes your comments terrify me Tyler, haha. But yes, we and many others have a lot of memories with the places this car has gone. Like I said, all my friends from high school, etc. remember me with the old Buick - many can't believe I've still had it all this time. But, it's nice to have fitting closure and a new-to-me car just hours away from being purchased . . .